Must be the Ice Saints. Usually my morning follows the pattern "getting up, going for a run, doing some yoga, taking a shower, ingesting a protein shake". Today I got up, went for a run, did some yoga, showered, shivered and decided that I totally didn't want a cold shake. I didn't want hot oatmeal or miso soup either because I wasn't really hungry. I just wanted something hot, sweet and comforting. Something chocolate and coffee. A girl needs her espresso shot, right? Yeah, I know, protein and micronutrients and all, but sometimes you have to get back to some stupid excuse like hormones, throw your nutritional wisdom overboard and have something decadent. Which does not necessarily mean unhealthy. 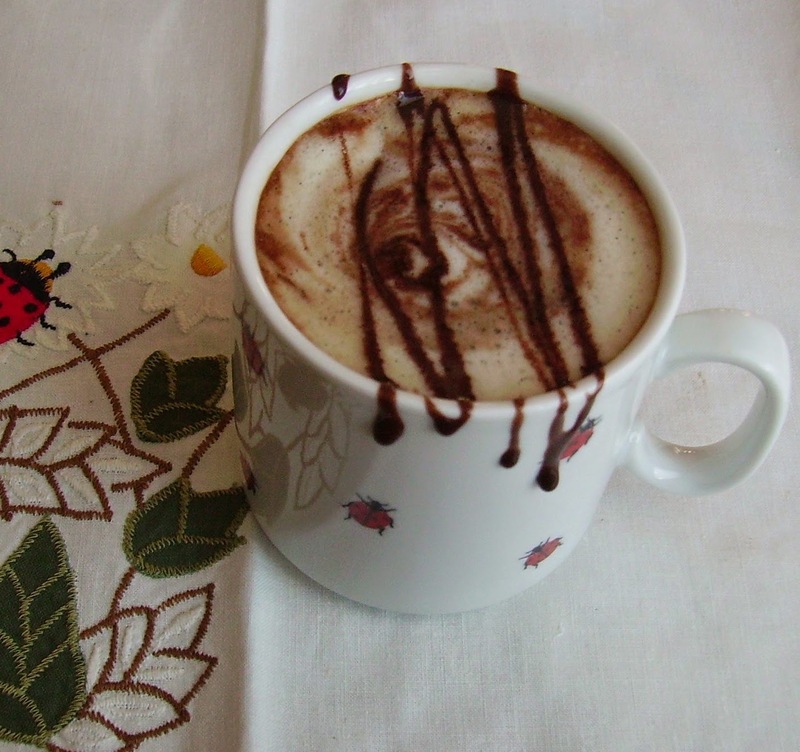 I won't say that any kind of mocaccino could be the healthiest thing in the world, but you always can limit the damage. Being a lazy person who likes shortcuts, I hate standing at the stove and stirring a mixture of sugar, water and cocoa powder forever, only to get some chocolate syrup. Wasting an hour to create something totally unhealthy? 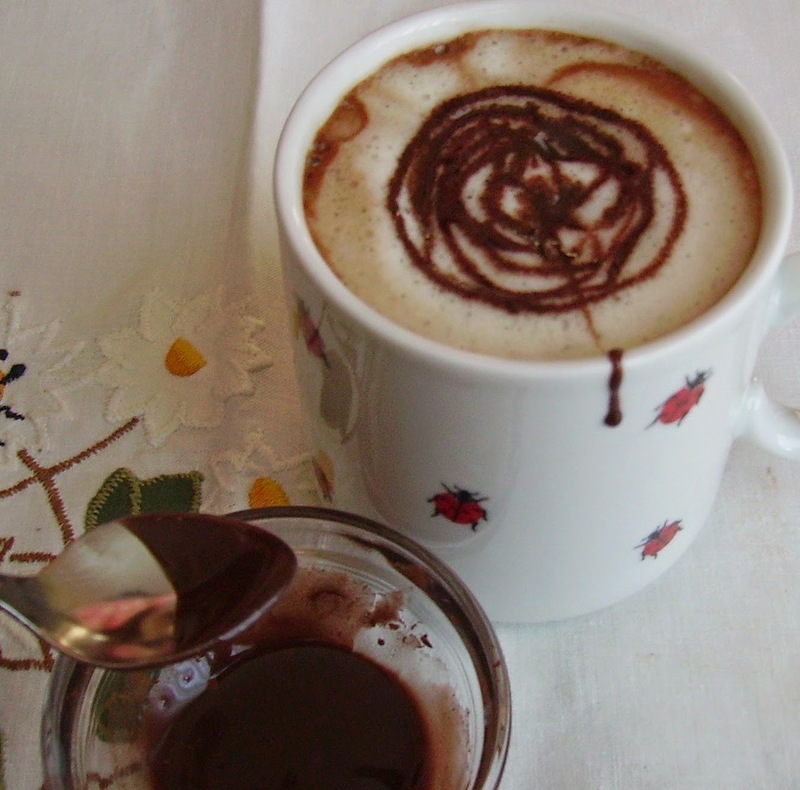 Okay, regular simple chocolate syrup is just ten minutes. But why bother when you can have it more quickly and even healthier? My secret to chocolate syrup is honey. 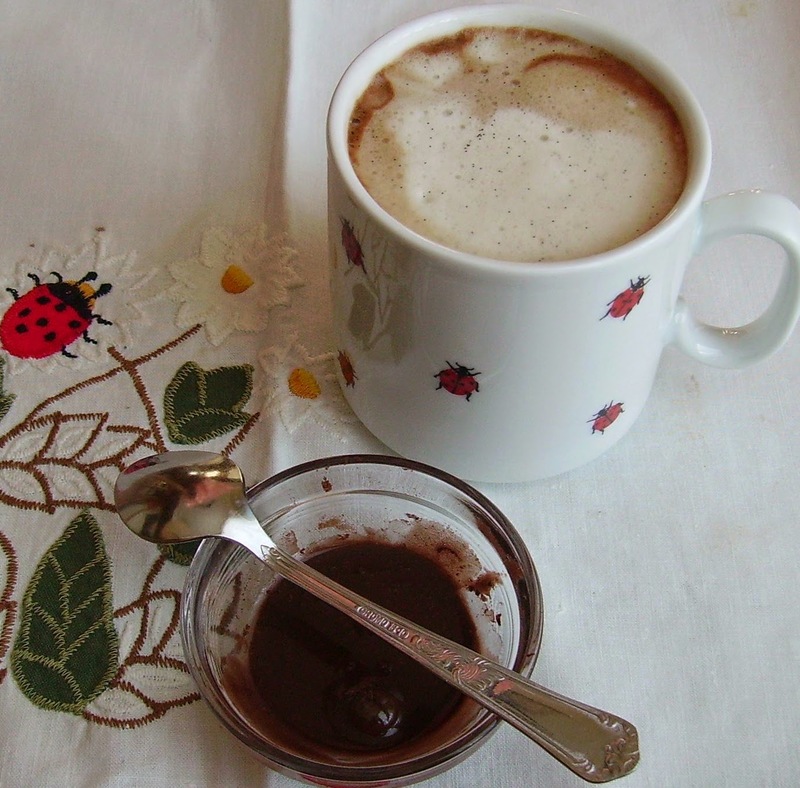 Organic runny honey and organic cocoa powder. 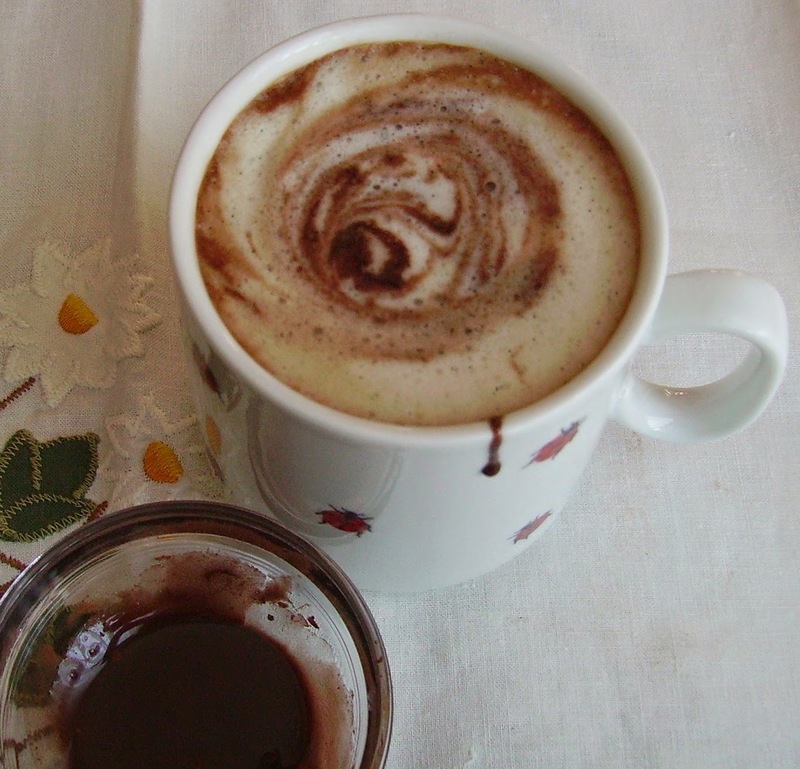 Sure, honey has a flavour of its own, but the combination of honey and cocoa is special. 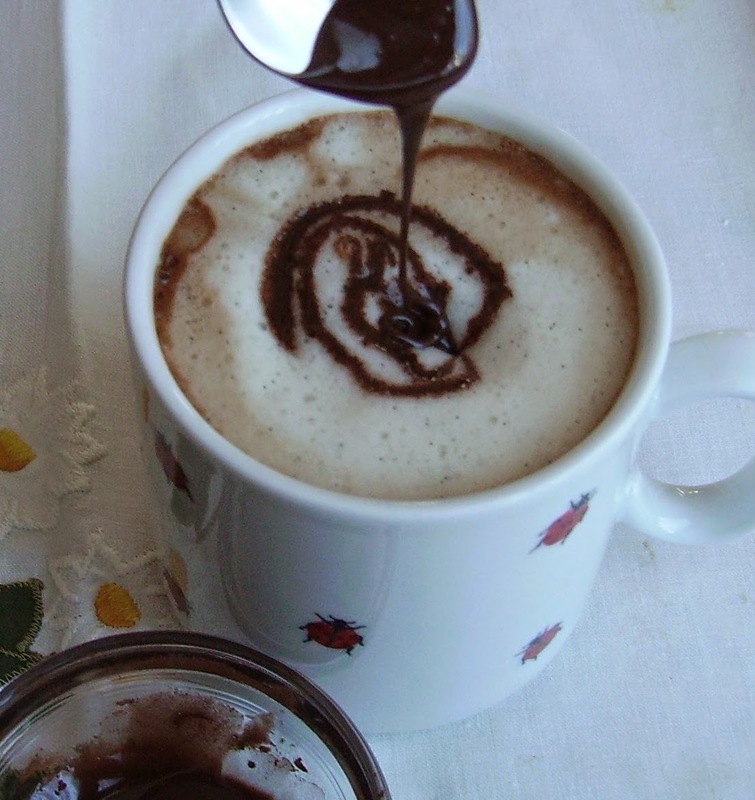 If you want some quick neutral chocolate syrup, stir together agave syrup and cocoa powder. But do give honey a try, if you're not vegan. I definitely made a mess this morning. And I definitely had my chocolate fix for the day. Combine milk, vanilla and 1/2 teaspoon honey in a small pot over gentle heat. 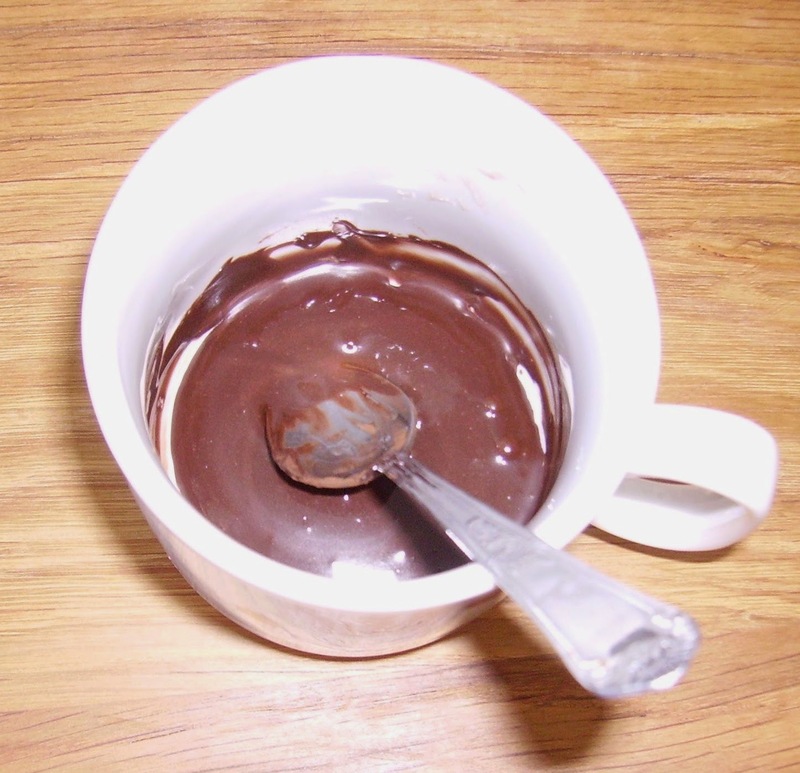 If you want to make a mess, be decadent and indulge in more chocolate like I did, stir together the other 1/2 teaspoon cocoa powder and 1 teaspoon honey in a small vial. Slightly increase heat for the milk so it gets from warm to hot. 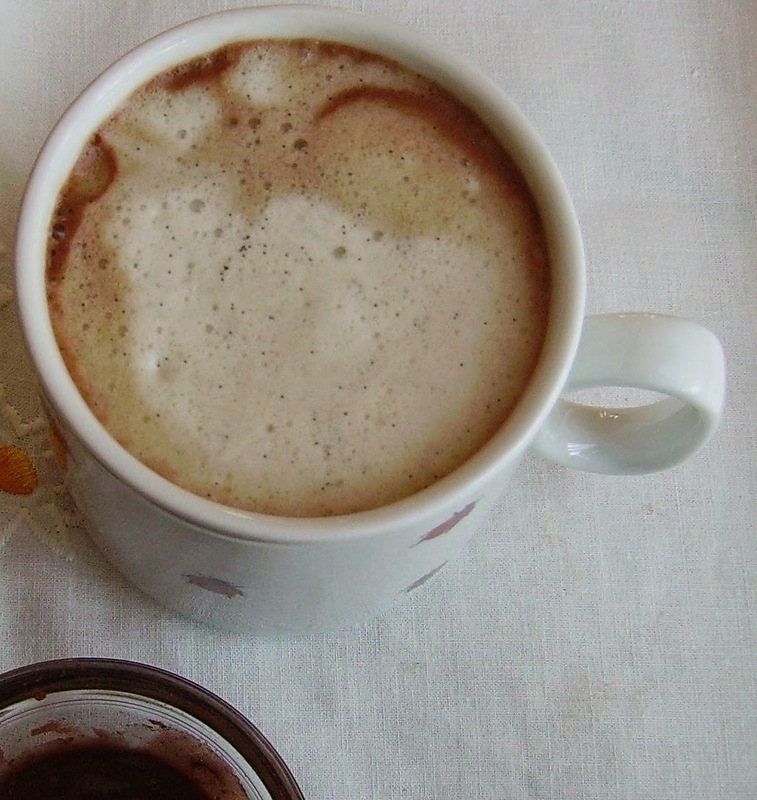 Brew your coffee and pour over chocolate syrup. Make a mess and top with more syrup. Remember, we're not talking art, but chocolate. 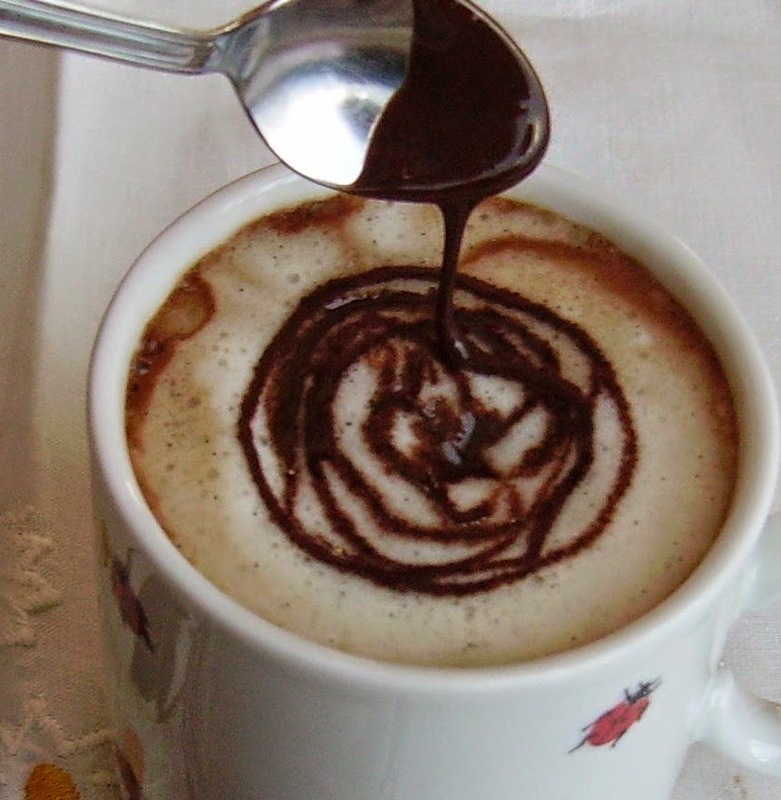 What's your favourite way to have cappuccino? Decadent and delicious. I skipped the chocolate drizzle and he drink had enough choclate flavor it wasn't missed. Will be making this again. Mia, my apologies. I made this a good while back when I wasn't feeling very well and totally forgot to write a review. This was delicious and very comforting. I used the espresso and almond milk for a truly smooth drink that helped me feel better for a time. Thank you for sharing another delightful recipe. No sweat, my dear friend :) Thank you so much for making this recipe, and I'm happy you enjoyed it! get completely well quickly!